In an interview published on the latest MCVUK magazine (March 2019, issue 944, available for download here), Epic Games Founder and controlling stakeholder Tim Sweney discussed how Fortnite accelerated the company’s pre-existing plans to launch its own Epic Games Store while providing all the funds needed to entice developers to show up. I think the game business will change more in the next five years than the past ten. The last remnants of the old retail model of gaming are falling apart, and the biggest successes are fast-moving indies and fast-moving big competitors – exemplified by Fortnite and Apex Legends. All of the old decisions need to be revisited. We built the technology long before we had a business model supporting it. Fortnite accelerated everything by bringing in the large audience of engaged gamers required for a successful storefront launch, and the e-commerce economies of scale for an 88-12 per cent revenue-sharing model. Yes, we’ve worked to ensure it’s genuinely worthwhile for developers to move to the Epic Games store. Fortnite’s success has given Epic significant latitude to help developers. We’re giving game developers and publishers the store business model that we’ve always wanted as developers ourselves. Some consumers aren’t happy with the Epic Games Store exclusives initiative, but Sweeney said there is no other way to challenge Steam. There is no hope of displacing a dominant storefront solely by adding marginally more store features or a marginally better install experience. These battles will be won on the basis of game supply, consumer prices, and developer revenue sharing. 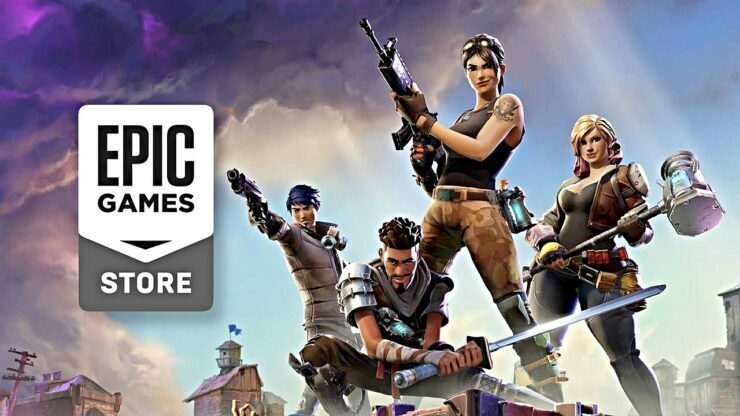 Later in the interview, Sweeney stated that the Epic Games Store will be ‘significantly evolved’ by the time the games listed will be around 250. The storefront itself might be very different from what we’re used to with Valve’s Steam or Apple’s App Store. We believe the ultimate vector for players to discover new games will not be our storefront but creators, which is why Epic’s ‘Support a Creator’ program is integrated into store operations. Viewership of creator channels has greatly outgrown any storefront. In Korea and China, the primary game distribution vectors are social: WeChat, KakaoTalk and QQ, rather than storefronts. As with the twists in Fortnite’s evolution, one shouldn’t necessarily project the Steam or App Store paradigm onto its final form. Meanwhile, the Epic Games Store is slowly but surely improving – the storefront now features a search bar, as confirmed by Sergey Galyonkin (Epic’s Director of Publishing Strategy, previously creator of Steam Spy) yesterday.